Home>News>Rates for gas – up again! Beginning from the 1st of July 2013 the rates for gas in Russia are increased for the citizens and for industrial consumers. At an average, the rates are increased for 15%, and the annual average growth is 7,5%. The rates increase was agreed by the government of Russian Federation during the budget projecting committee meeting. Beginning from 2013 the prices for gas for industrial consumers are calculated quarterly. The formula of price calculation considers the information about the prices for gas oil (0,1% of sulfur) and fuel oil (1% of sulfur) estimated for 9 months which were a preliminary to the affirmed decision of the Federal Tariff Service. The fourth quarter considers to bring the wholesale prices to the annual average forecasted values. The wholesale prices for gas for the industrial consumers were increased for 15% comparing to the price in April, and for 12% comparing to the price level in January. 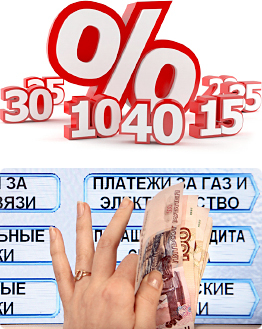 Every year readjustment of the prices for gas is realized for the citizens - for 15%. The rates of price growth consider the forecast of social and economical development of the country. Against the rate increase chip alternative becomes more and more essential – independent gasification on base on vertical gas tanks from «Antonio Merloni Cylinders Ghergo Group S.p.А». Independent gas supply which does not look back to the main pipeline with «blue sky» fuel and to social and economical forecasts. Independent heating – solution for the problem of the main gas pipeline absence. Economy and ecological properties of «Antonio Merloni Cylinders Ghergo Group S.p.А.» gas tanks.